$14.95 Originally. On Sale Now. 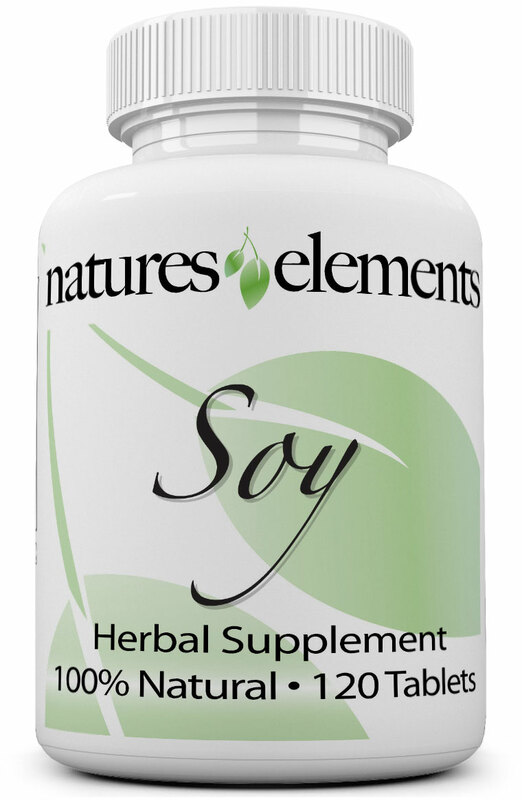 "For Overall Health In Woman"
Natures Elements SOY contains photoestrogens which are the reason that SOY may provide numerous benefits to women, especially through the menopausal process. This is because the photoestrogens may help replenish the body's declining estrogen levels. So don't be fooled by competitors that don't offer these photoestrogens. 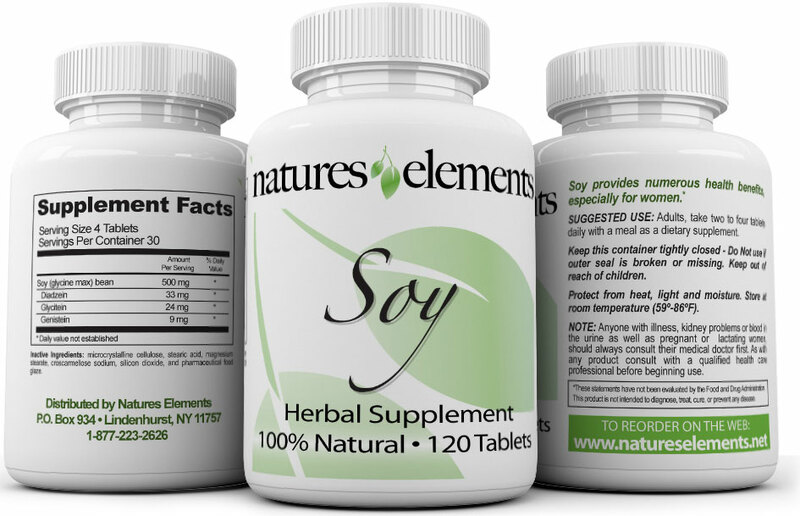 Check our detailed images for a complete list of SOY supplements facts. How Long Should I Take Soy? Soy is taken daily with four small easy to swallow tablets. Each bottle of Soy contains a 1-month supply. Although Soy may work quicker from one individual to the next, we recommend you use Soy on a daily basis for the recommended period of time. After consistent use for at least 3-4 months, you should begin to see and feel results. You will achieve continued results the longer you are on the product. Be sure to order an ample supply. Natural supplements are designed to create a holistic balance within the body and can take time to propagate through your system. Be patient stick with it...you’ll be glad you did!